Imagine a place where you can get away from it all, where the views are magnificent and where all you can hear is the sound of the sea on the beach below and the occasional bleat of a sheep. 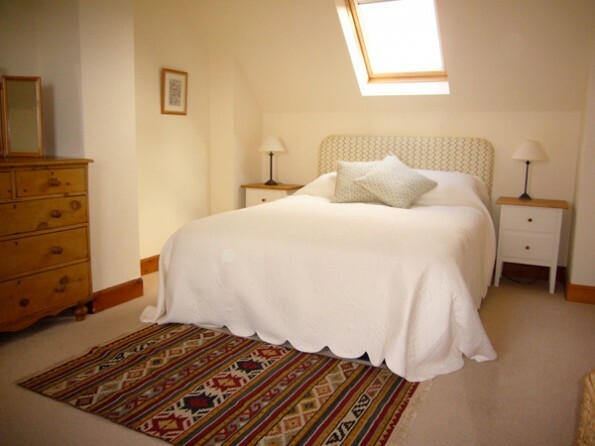 Welcome to Tigh Ruaraidh, a luxurious cottage in a truly unbeatable setting. 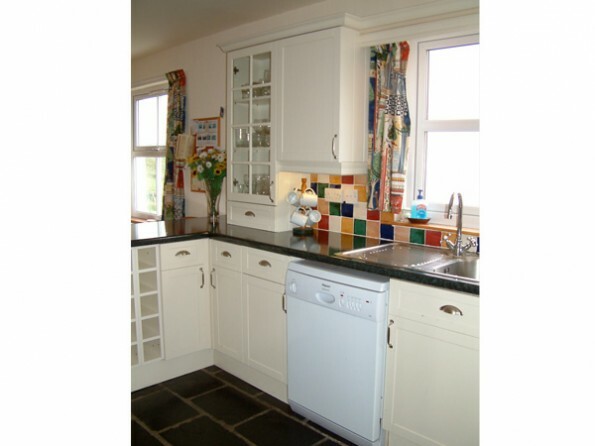 The house sleeps up to a maximum of six people and is as cosy and comfortable for couples looking for peace and seclusion, as it is adaptable for small groups of friends or families to share without feeling crowded. 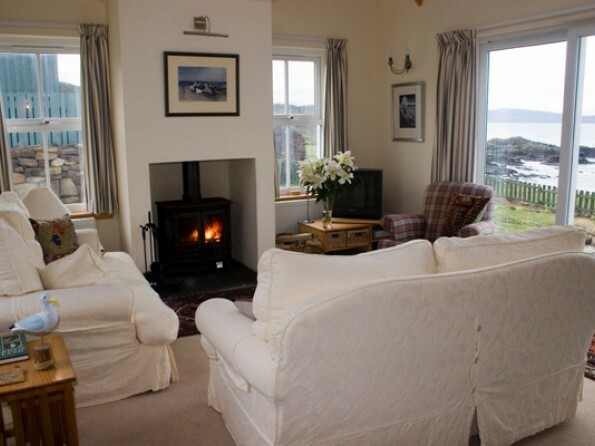 All principal rooms have stunning sea views across the Inner Sound to the islands of Raasay, Rona, Skye and the Outer Hebrides. 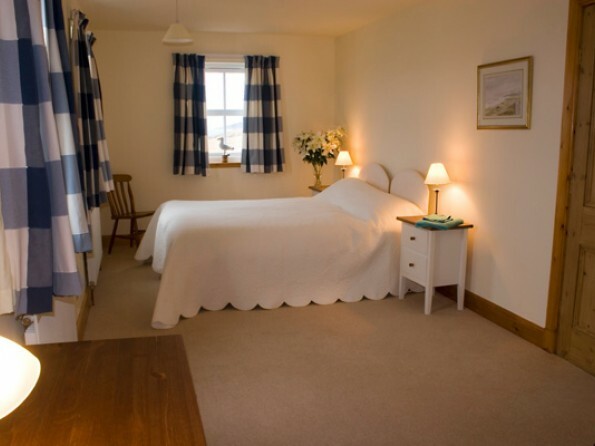 Recently refurbished to an exceptionally high standard, Tigh Ruaraidh is a peaceful haven where you can escape from the pressures of modern living and rediscover a slower pace of life. 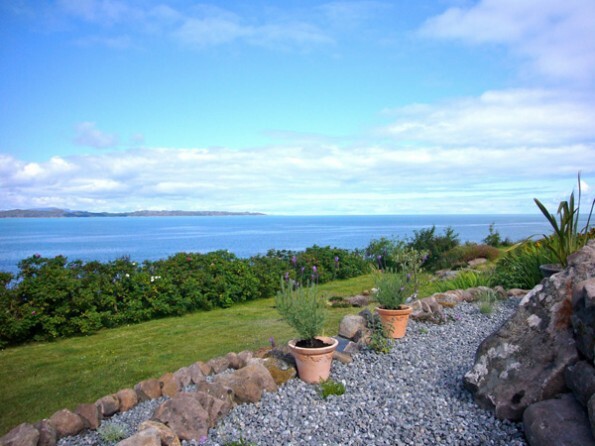 The accommodation is genuinely comfortable and luxurious, and the coastal views across the Inner Sound towards Skye and Raasay are nothing short of breathtaking. 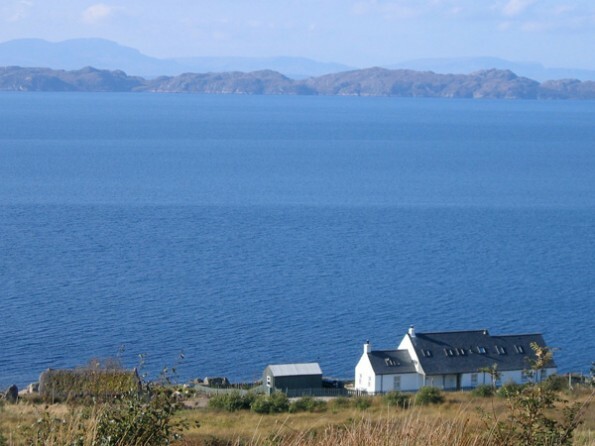 The Applecross Peninsula is a real Highland gem which offers rich heritage and unrivalled peace and tranquillity. 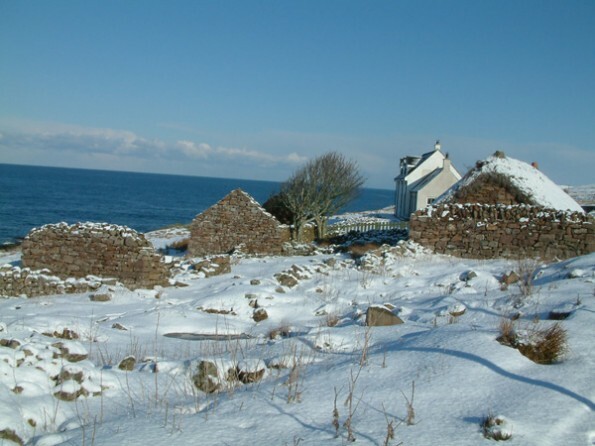 Tigh Ruaraidh stands on its own in the tiny township of Lonbain, 7 miles north of the village of Applecross. This is a beautiful area for walking, whatever your level of fitness. 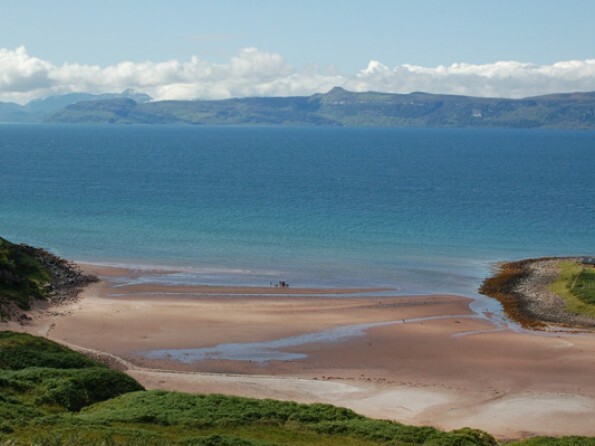 There are a number of short walks around the Applecross estate and further afield there are strolls on the old coast path and walks to deserted villages on the South of the peninsula. And for the very active, the Torridon Mountains, which include the Munros Beinn Eighe, Liathach and Beinn Alligin, are just an hour away. Wildlife lovers and bird watchers will be in heaven, with everything from otters, red deer and pine martens to buzzards and eagles on show. And at the end of a day of fresh air and exploring you can enjoy fresh seafood at the Applecross Inn and delicious bistro cuisine at the Potting Shed restaurant. 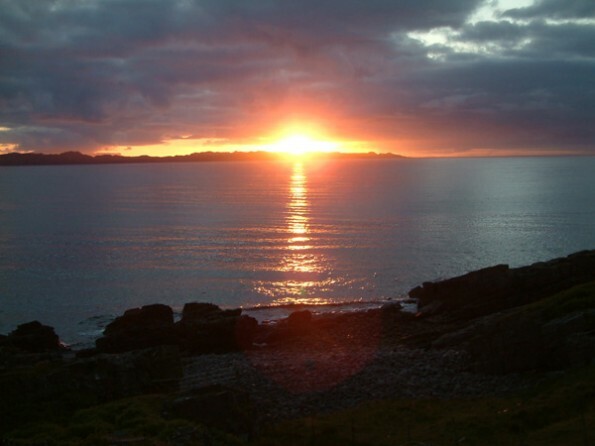 The Applecross peninsula is in the North West Scottish Highlands. Applecross can be reached by road from both Edinburgh via Inverness and Glasgow via Fort William. Alternatively it is possible to take a train from Edinburgh to Inverness and hire a car for the final part of the journey. There is also Inverness Airport, which is used by a number of the low cost airlines. 9 miles. Travelling butcher once a week! 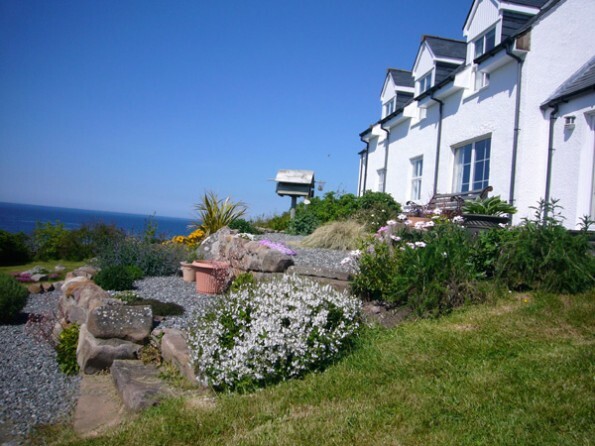 The house has four bedrooms - a double, a twin and a single upstairs (all of which have sea views) and a further double bedroom on the ground floor. There is a shower room upstairs and a bathroom downstairs. The dining room, with its Morso wood burning stove and oak dining table, provides sensational views through a large patio window, and the Shaker style kitchen is well equipped with everything you could need for efficient self-catering, including a selection of cookery books. 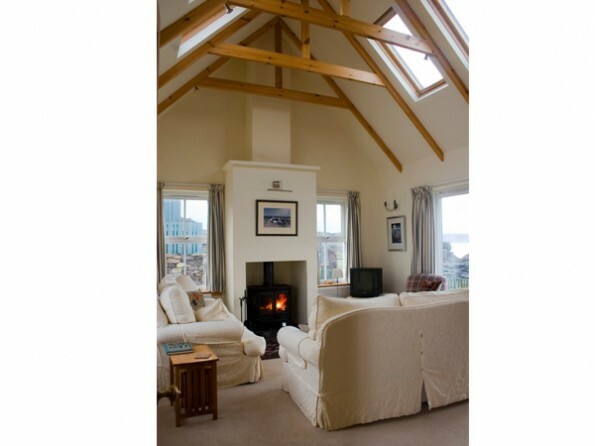 The main living room has another wood burning stove and is furnished to a very high standard, with far reaching views from its huge windows. The enclosed garden is the perfect spot for soaking up the sun, reading a book and enjoying the uninterrupted views over the water. A cot, high chair and stair-gate are available.